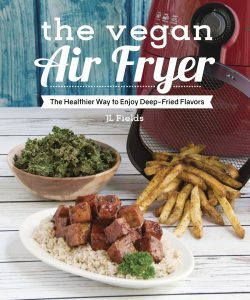 Welcome to Vegan Heritage Press! Plant-based cooking has never been this delicious and fun. 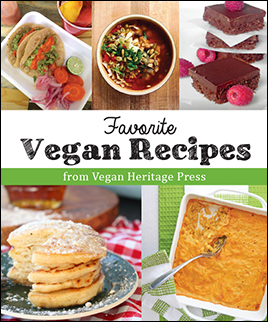 These great new Vegan Heritage Press titles fill gaps in the vegan cookbook world and provide compassionate, good-for-you sources of fantastic meat- and dairy-free meals. 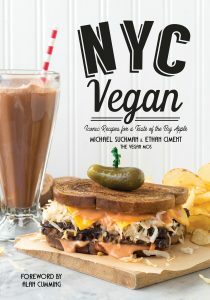 Our exciting 2017 titles bring you the foods of the Big Apple, NYC Vegan by Michael Suchman and Ethan Ciment, deep-fried food flavor without deep frying, The Vegan Air Fryer by JL Fields, and the much-anticipated second book by best-selling author Richa Hingle, Vegan Richa’s Everyday Kitchen. 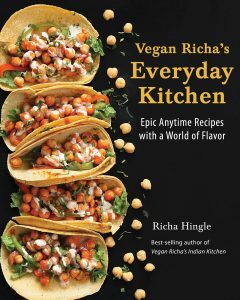 By the author of the best-selling Vegan Richa’s Indian Kitchen, Richa Hingle applies her culinary skills to international comfort foods. These unique recipes are easy to make and have an astonishing depth of flavor. Vegan Heritage Press is actively seeking authors for the upcoming publishing seasons. If you are a vegan author or chef with a great idea and an online platform, we want to hear from you. Please have a look at our Submissions Guidelines and feel free to contact the publisher with questions.